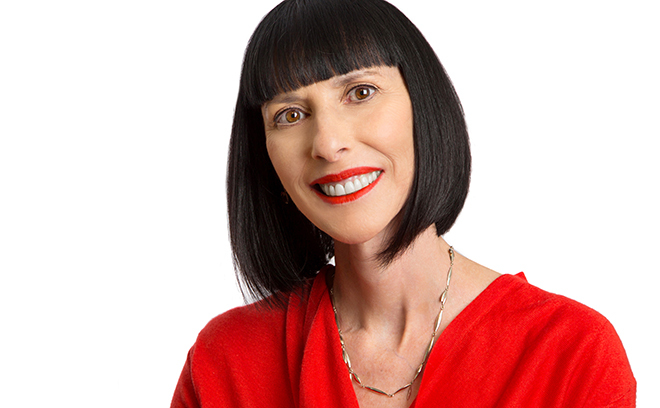 Lynda Kahn is an Emmy Award-winning creative director and a founding partner of Twinart, Inc. Originally from New York, Lynda has a BFA from Philadelphia College of Art, where she studied sculpture and painting, and an MFA from The School of the Art Institute of Chicago in sculpture and film history. She has a twin sister named Ellen with whom she co-founded the studio Twinart in 1988. Twinart specializes in title sequence design, content creation, brand entertainment, experience design, and broadcast design for film and TV. Lynda has contributed to title sequences for Beakman's World (1992), Sister, Sister (1994), Two Guys, A Girl and a Pizza Place (1998-2000), Dharma and Greg (1998-2002), Ellen: The Ellen Degeneres Show (2003), Arrested Development (2003-), Conde Nast and ABC's Fashion Rocks (2005) and (2006), Emily’s Reasons Why Not (2006-2008), The Talk (2010), and Netflix’s A Series of Unfortunate Events (2017). In 2006, the Kahns’ work on the title sequence for talk show Ellen: The Ellen Degeneres Show earned an Emmy Award for Outstanding Achievement in Main Title Design. She has also worked as a creative consultant with yU+co, as a creative consultant and director with BPG, as a live-action director with Crossroads Films, and as a music video director with MGMM. Her documentary projects are Picture What Women Do (1994) for LifetimeTV and Voices for Elektra Entertainment. Lynda is also a recipient of the National Endowment of the Arts fellowship grant in Visual Media and she has served as a governor for the Academy of Television Arts & Sciences from 2008 to 2011 and from 2013 to 2017. She now serves on the Executive Committee.